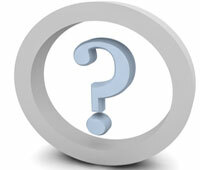 Please click the headings below to navigate through our Frequently Asked Questions database. This section is usually the quickest way to find the answer to any questions you may have about our services and products. However if you can't find what you are looking for, we would be happy to answer your questions. Use the 'Contact Us' form you will see on the top right of this page. Can I use a friend's or partner's credit card to enrol? I don't live in the US, Canada or Australia - how can I know how much the courses will cost me in my currency? If I purchase an extension, does it apply to all of my courses or just one? How long do I have to access a course? How do I purchase an Extension? My email address is already in use! Can I get a copy of a certificate from a course that I am no longer enrolled in? Do your courses award CEUs, CHs, CERPs or CPDs? Can I get an official Academic Transcript/Record? Which courses should I sign up for first? I need 90 hours of education to sit the IBLCE exam - what do you recommend?